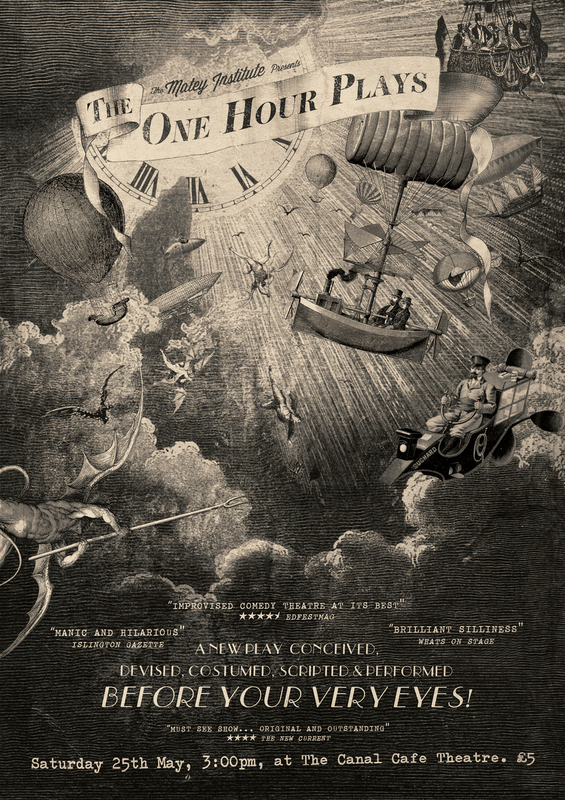 For the past couple of months I've been designing posters for the fantastic fringe show The One Hour Plays. "With copious help from our audience, each play is conceived, devised, costumed, scripted and performed before your very eyes - with a newly painted backdrop and a freshly composed score! Art Attack meets Anneka Rice with live playwriting, this is a richly sensory spectacle which lays bare the nuts and bolts of the theatre in all its eccentricity." To find out more about the plays, go to their website, and to see a few more of my posters just take a scroll.